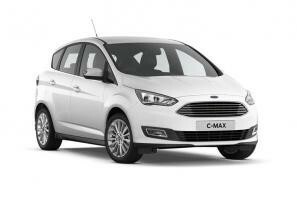 Find the best Ford C-Max leasing deals at CarLeasing.co.uk. The Ford C Max is mid sized 5 seater people carrier. The spacious C-Mac is capable of holding 5 adults plus luggage. If you're looking for more room, the larger Grand C-Max is available with 7 seats and extra luggage space. Weather you're looking to make the school run a little easier, or looking for a comfy ride whilst travelling long distances, there are a selection of engine types to choose from. Find your perfect Ford C-Max by browsing our deals below. Choose from a range of optional extras and even insurance or maintenance if you want complete peace of mind. Our latest Ford C-MAX leasing deals. Click the links below to view our latest Ford C-MAX leasing options. 3 reasons to lease your next Ford C-MAX from us. We deliver your brand new Ford C-MAX vehicle for no additional cost.